On very rare occasions do I ever do this … but this is one of those occasions. A wonderful friend and business mentor passed away on Monday, January 16, 2017. I’m talking about Mr. Gene Cernan. By now, the whole world has heard the news of how the last man to walk on the moon made one final launch from Earth. On a personal note, it means I can no longer call him on the phone. That, I will forever miss! 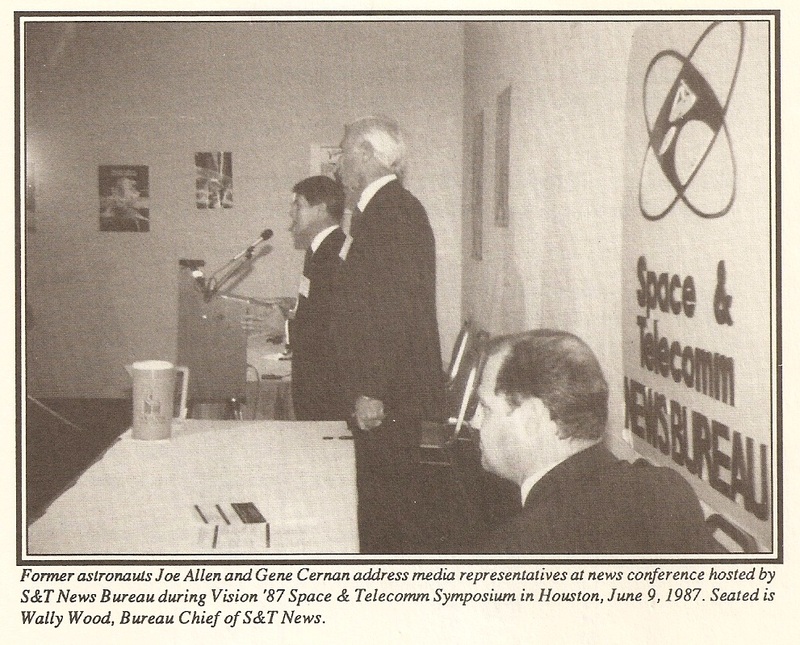 He and I first met in 1987 at (what I recall was) Houston’s first global conference on space. A year or two before, I was co-founder of the Shuttle News Service. My partner and I did live broadcasts of Shuttle missions to local college radio stations from the Johnson Space Center. In 1987, I was hired by a consortium of local companies looking to establish Houston’s “Third Identity” as Space City, USA. 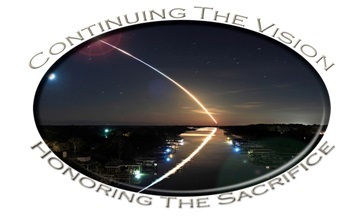 Their efforts culminated in the three-day “Vision ’87: Space & Telecomm Symposium” in June of that year at the old Albert Thomas Convention Center downtown. As Media Director of the event, my task was to schedule and conduct the various press conferences during the Symposium from our own Media Room. On Day 2 of the event, astronauts Gene Cernan and Joe Allen fielded their own media call, speaking on the importance of establishing Houston as a space entrepreneurial center for the world. Following that particular press conference, Gene and I talked further about his support of our idea of a news bureau for the American space program. His encouragement led us to pursue Congressional funding for the project. Regrettably, Congress did not share our vision, so the project was scrapped in 1988. Fifteen years later (2003), our paths would cross once more … interestingly (ironically), on the same subject. This time, my idea was to pick up where we left off in ’89, only this time build a national organization for the space program: The National Space & Technology Association (NSTA). 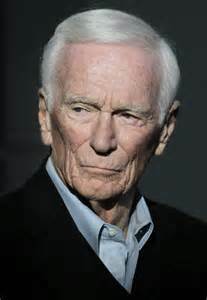 And, once again, I reached out to the only man who could give me wise direction: Gene Cernan. From 2003 to 2013 (after the space shuttle program shut down), NSTA was a growing association of space and technology interests across the Greater Houston area. Gene Cernan played an integral, behind-the-scenes role in our 10-year progress, always available to offer suggestions and insight on the challenges we faced in our growth. PS: Gene’s departure from the moon was December 14, 1972 – my 23rd birthday!